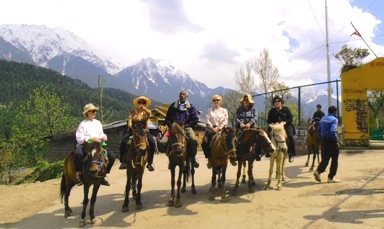 This pleasure filled grand Kashmir tour explores the variety that is India. Beginning with Kashmir you'll stay at a luxury houseboat on the most beautiful lake. Relaxing cruise aboard romantic gondola and experience the enchanting Mogul gardens, visit the exciting Gulmarg, enjoy summer pleasures of swiming, water skiing. 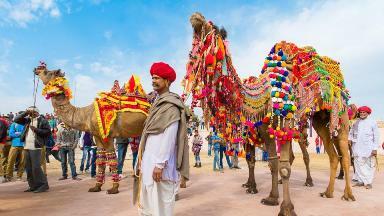 Top it of with a grand tour of Golden Triangle of Delhi, Jaipur the pink city and the famous Taj Mahal. Welcome aboard your flight to Delhi, our 1st. stop on our Kashmir tour. Enjoy the regal hospitality by silk sari clad hostesses. Indulge yourself with delicious Indian and Continental cuisine. This evening arrive in Delhi, where you'll be received and escorted to Hotel Coleridge’s/ Hotel Park. 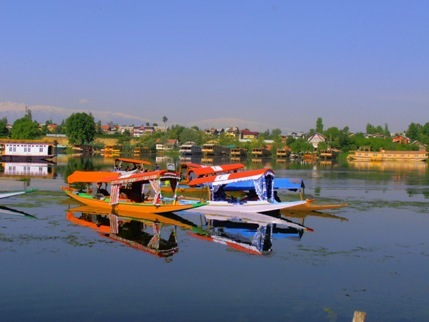 Fly to Srinagar to begin your Kashmir tour, upon arrival you will be escorted to deluxe houseboats. Afternoon at leisure. Cruise through Dal and Nagin Lakes float through a network of canals to the enchanted floating gardens of Nishant and Shalimar; built in the 16th C. by Moghul emperors. with ski runs ranging from 500 yards to 4 miles. Today take a leisurely tour of Pahalagam, another premier mountain resort in Kashmir, with its pointed peaks and green pastures. Enroute stops will include a visit to 11th. Century Temple and Palace of ancient capital of Kashmir and holy caves at a mountain-top shrine, offering panoramic views of the valley below. Return to your cozy houseboat. Day at leisure to soak in the warm ambience and relax with opportunities to either visit crafts centers or walk the grand boulevard of Srinagar. This evening enjoy a Wazwan feast, local multi course meal usually served on weddings or very special occasions. 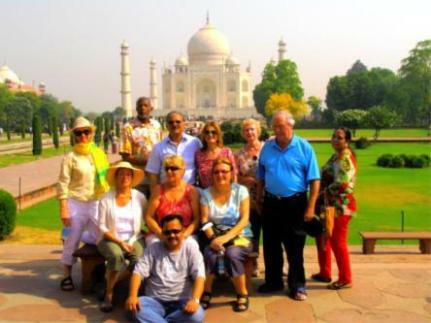 Day 8 SRINAGAR/DELHI/AGRA: This morning fly to Delhi and drive directly to Agra, home city of the famous Taj Mahal and the Agra Fort. Taj View/Clark's Hotel. After breakfast you'll visit the Presidential Palace, Parliament House, India Gate, Qutab Minar Tower, Jantar Mantar, and the fashionable Connaught Circus. Red Fort, Chandni Chowk, Mahalaxmi Temple and Mahatma Gandhi Samadhi. This evening free.